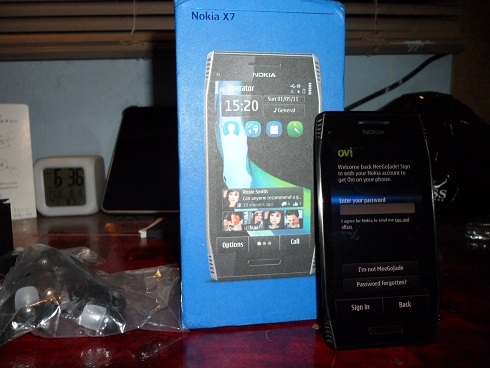 I noticed that the Nokia X7 packaging design is quite different from other devices such as your Nokia E6. The box looks an attraction instantly even we didn’t open the box yet. Of course, this packaging was likely made from recycled materials which is Nokia’s brilliant idea in order to contribute on saving planet earth. Inside the box you can find the Nokia X7 covered with easy-to-remove plastic protection, under it is the removable sim card slot. And below them you can find the user’s manual and accessories. 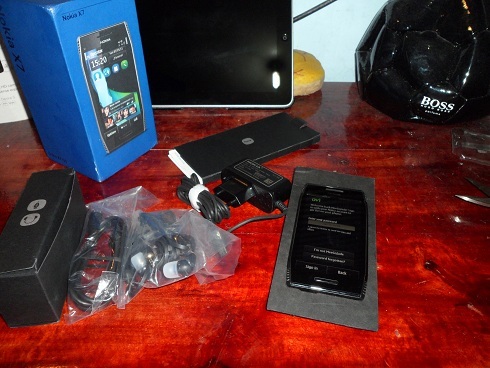 Also, it is good to know that the Nokia headset bundled on this one is the same on N8 and other multimedia smartphones of Nokia that has dedicated music and call keys. Well, we can’t just differentiate these devices without knowing the basis as each phone are made to a specific market target as X7 for social and entertainment inclined smartphone and Nokia N8 for multimedia (camera). But if we look at the design, the X7 really inherits stylish design. It’s very sleek and elegant with a touch of futuristic theme. Noting the grilled corners and shiny body as the main attractions. Also, X7 feels more solid (if you’re okay with a metal body feel) compare to N8 as it’s heavier and metal used is different from anodized one. I can say that X7 nnd E7 designs are excellent from feel to looks. Well, these are just my first impressions for X7. Expect more stuff in the coming days regarding X7. And if you have RECOMMENDATIONS or QUESTIONS about X7 stuff please don’t hesitate to drop it below through commenting.